Going into the Steam Summer Sale of 2014, I had 35 games on my Steam wishlist. Nearly every item on that list was deeply discounted, as was most of Steam's catalog. Bank account's and backlog's of gamers everywhere groaned. I know mine did: during the 2013 Holiday Sale I purchased seven games and spent $53.23. Not a bad amount to spend for that many games. Yet since the Holiday Sale I've played two of those seven, and completed/beaten ZERO of them. I felt so proud during the weeks of the 2013 Holiday Sale. I was sticking to my budget and only buying games that were part of flash sales or daily deals. I spent the weeks leading up to the sale cultivating my wishlist, and only bought games from that list as to not fill my collection with games I didn't really want. Every game I bought I was excited to get them for the price, yeah, but more excited about the hours of fun I had yet to experience. The Holiday Sale was going to be different: every game I bought I would have beaten/completed by the Summer Sale 2014, where I would reward myself with a new batch of games. That plan didn't go as well as I had hoped. A lot changed in my gaming lifestyle since the start of the new year, and as excited as I was to start playing my backlog, I barely touched my Steam library all year. Which is a shame as there are a lot of great games I have that I should be playing. But that can be said about my entire backlog of games. At the beginning of the year I made a promise to play my Steam games, and that would be the only way I can justify spending money on a ton of new games. I essentially broke that promise, which is the main reason why I didn't buy any new games this Summer sale. Welcome to part two in this two part series! Part one was all about games from E3 I saw, and know I want, that are coming out in 2014. It was a decent amount of games, most of which I knew about prior to E3. This list tackles all the games that are scheduled for a 2015 release. Most of them I knew about before E3 too, and some were predictably announced for the first time at E3. 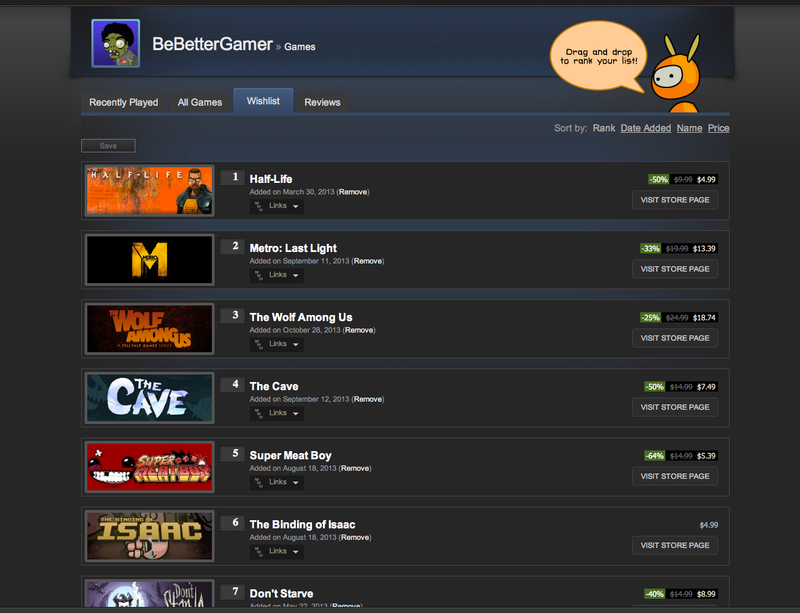 There is only one game on this list that I, and pretty much everybody, didn't see coming. Am I disappointed that there wasn't much surprises at E3? No, because this list is stacked with games I want to play and 2015 is shaping up to be a busy, and expensive, year of gaming. E3 2014 ended about two weeks ago, yet in the video game world that sounds like forever ago. The week prior, during, and after E3 is filled with reactionary posts, headlines, gifs, and tweets all through out the internet but once you hit two weeks after the event E3 is but a distant memory. Everyone's moved on to the Steam Summer Sale or games of the summer lists and what not. I enjoyed E3 2014; I felt everyone had a good press conference but in terms of games showed there isn't much that surprised me or really excited me like in years past. I guess if every E3 was special, then none of them would be. What I did notice about this E3 was a lot of games were announced for 2015. We always have games announced for the following year at E3, but this year it seemed nearly every game, especially new reveals, all had 2015 attached to it. Some without even a hint of a time frame. I like to spend much of post E3 taking my time watching trailers, developer interviews, and the live stream demos to help me decide realistically what games I want to get when they release. Watching the press conferences isn't enough for me; if I hadn't watched some of those interviews or live demos than I would miss a ton of content that can't be explained in a one minute trailer. Somewhere it's still Summer in October, right? I guess one release date is better than nothing, even if it's a bit later than what I was expecting. One of my boldest and craziest predictions I was telling friends and posting on Miiverse was that after Nintendo's digital event or the Smash tourney they were going to announce the release date for the Wii U version, and then say, "Super Smash Bros. for the 3DS will be available to download...right now!" Imagine how much everybody would be freaking out! Might as well jump right into this one next. Another no-brainer for me #dayone and all. This was the main anchor in Nintendo's presentation, with the revelation of the Amiibo's being released first with Smash, their huge Smash Bros. tournament, and the epic fight between Reggie and Iwata that kicked off the Nintendo digital event leading into the Mii characters being announced. That was a pretty surprising reveal, and I like all the different customization options that go along with it. I'll probably stick with Ness and Little Mac, but I think the introduction of the Mii's are going to offer a lot of creativity to the series. Pac-Man was also announced. Not really too surprising since the game is being mainly developed by Namco and all. They waited until the developer's roundtable to announce him too, and not during the digital event where they showed Palutena or the tournament where you could've heard the crowd go nuts (especially with Game & Watch thrown in there). Oh well, I wasn't asked to direct their announcements. Anyway let's all take a moment and appreciate that photo Sakurai posted on Miiverse. 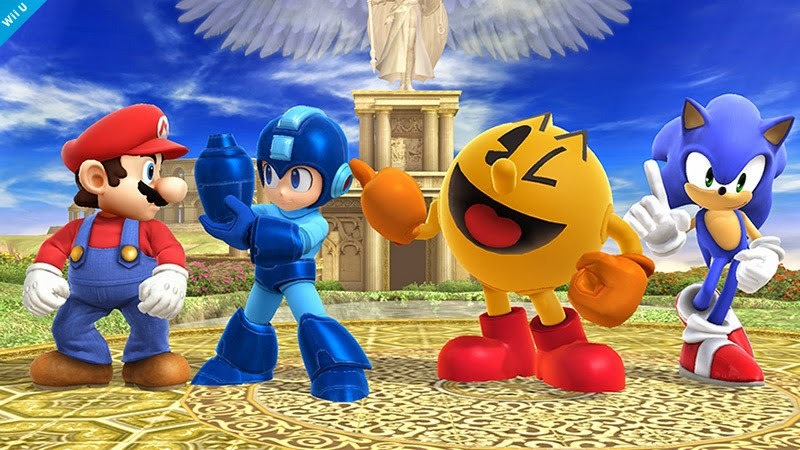 Look at it: four gaming icons are going to be beating the crap out of each other this "holiday". I never would have imagined a million different things that have happened in gaming so far, but this is definitely at the top of that list. 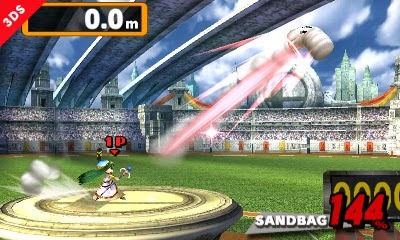 I thought it was crazy when Captain Falcon and Ness were in the first Smash Bros. We've come a long way people. I do have to mention that, for the longest time I have not been a big believer in this game being released in 2014. Nintendo first said Winter, now Holiday 2014, but I still have my doubts. But whatever, for now let's all stay positive and hope it doesn't get delayed more than it has to (but let's not be too surprised if it does, either). Are we noticing a pattern yet? You will. When this collaboration was first announced, I was very tentative. I thought Dynasty Warriors 2 & 3 were great back in the day. But the series lost it's creativity very fast, in a genre it stood alone in. No other game gave you the one vs hundreds feel, yet it quickly became stale and uninteresting because they didn't take too many chances in design and presentation. After seeing more of the gameplay videos, as well as the slow rolling out of characters you can play as, I believe the world of The Legend of Zelda is the injection of creativity the Dynasty Warriors series has needed in a while. 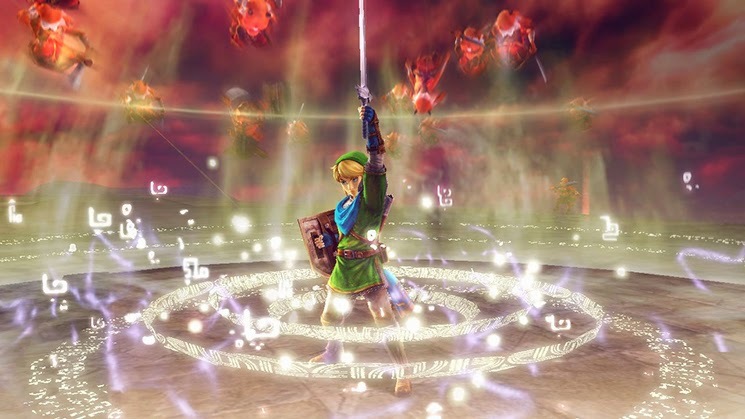 Having such iconic characters with their own unique personalities and roles in the Zelda universe forces the gameplay to take on a different shape than the core Dynasty Warriors game. And you can see Tecmo Koei really embracing the unique history and world of Zelda and taking it as far as they can to make it a fun and new Warriors experience. The more I see of it the more I think how perfectly these two franchises come together, and honestly, I can't wait to play a straight up Legend of Zelda action game where I thrash hundreds of enemies with Link's Fire Rod. #weekone. Anyone who knows me, knows I love Pokemon. Currently I have over 400 hours on Pokemon X, and I will most likely surpass whatever that final time count will be once Omega & Alpha drops. 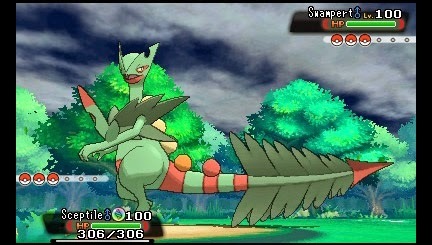 This wasn't a big reveal, as it was announced pre-E3, but Nintendo did show off a new trailer with the starters Mega Evolutions during it's digital event, making it one of two 3DS games shown at their event (which is a little worrisome, honestly). I really won't lie though: between Smash Bros. and Pokemon I really won't be playing any other 3DS game for a long time. Which version will I get? Why Alpha Sapphire of course. The original Sapphire is where I accumulated the most hours I've ever put into a Pokemon game, at around 575. I will most likely past that with X but I am determined for Alpha Sapphire to quickly regain it's crown. Not much else needs to be said from me about Pokemon. I will be getting it #dayone. 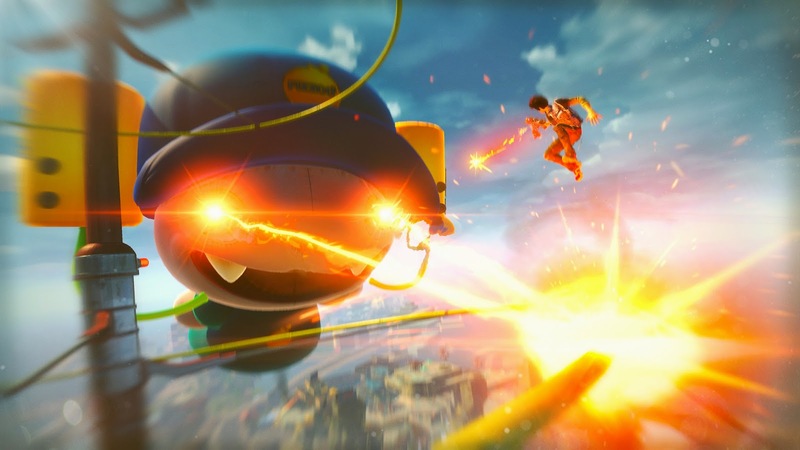 I really like the look and gameplay of Sunset Overdrive. The trailer at Microsoft's press conference was great, especially since it followed more of the same Call of Duty and everything that followed it just confirmed how different it is from most games being released. The grinding mechanic reminds me of Jet Grind Radio, a game I loved too for it's art direction and freedom of movement. 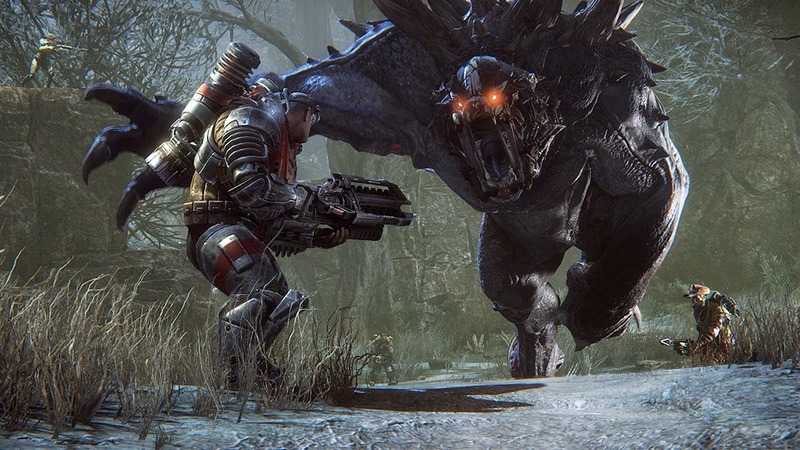 All the gameplay demos encourage that ease of movement and action, and the over the top weapons and enemies help sell the creative art direction. As much fun as I would probably have playing this game, I won't be getting it in the forseeable future. It's not going to make me buy an Xbox One, and there isn't enough other Xbox One games that would go along with Sunset Overdrive to make me get the system, for now. I know Insomniac is a reputable studio, but I am ashamed to say I've never played any of their games such as the Ratchet and Clank and Resistance series'. I appreciate they are going with a new IP and I want to support that, but really it's all about how getting an Xbox One is not something I want to do right now. If and when I do get one, this will be quickly added to the collection. It wouldn't be a Microsoft press conference without Master Chief, and it wouldn't be a November without a Halo game. 343 is going all out this November, giving us all four previous Halo games, as well as the newly re-skinned Halo 2 anniversary similar to the Halo: CE anniversary game. But the biggest news for me, and what makes this an instant buy if you already own an Xbox One, is the fact that every single multiplayer map will be included, and you can play them as they once were. 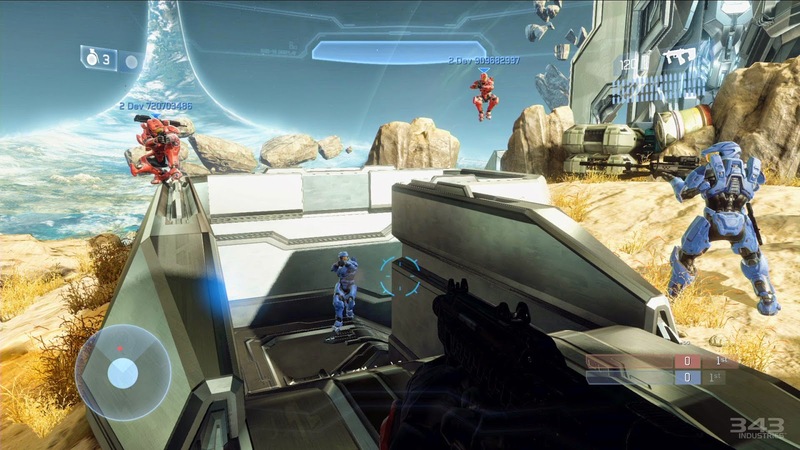 In my opinion, Halo 2's multiplayer is still one of the premier entries in the franchise, and a lot of what was so great about it was kind of lost over the later games, so reintroducing them to fans old and new is a great thing. The reason why this is an honorable mention for me is because I don't currently own an Xbox One, and I am not going to buy it for this game. I say this as someone who fell in love with Halo the first week is was released on the OG Xbox. Halo 2 and 3 were #dayone purchases for me, and I spent probably hundreds of hours in Halo 2's multiplayer. I wasn't crazy about Halo 3 but that didn't stop me from getting Reach as well as Halo 4, which to me is the strongest single player since Combat Evolve and the most fun I've had in multiplayer since Halo 2. But I don't play Halo multiplayer as much as I used to. I really enjoy Halo 4 but I find myself going online for Pokemon X and more recently Mario Kart 8. Looking at the limited number of games I will be getting in 2014, I still don't see myself justifying a new console purchase even for a Halo game, when Smash Bros. and Pokemon will most likely dominate my gaming time from the Fall until next Spring. If I had an Xbox One this would be a must have. Maybe I'll wait until maybe 2015 when Halo 5 launches and they release an Xbox One bundle for $399 along with The Master Chief Collection or something. The Crew was one of my personal big surprises of E3, in that I was surprised how much I was watching their developer's interviews and gameplay showings and being fascinated by it. I totally ignored it when it once announced last E3. I am also not a big fan of many racing games that don't have Mario Kart in the title, and in regards to MMO's I haven't played anything beyond a trial period of World of Warcraft. Maybe it was the trailer's music when it was shown at Ubisoft's conference. How traveling from one part of the country to another brings back fond memories of Outrun on the Genesis for some weird reason. Whatever it was, I was getting myself pretty excited and interested in this game. I feel it's always a good thing to play games that are out of your normal comfort zone, and The Crew steps out of many of mine. I know Burnout Paradise tried the whole open world racing, but at the time I wasn't really supporting EA games (still don't). 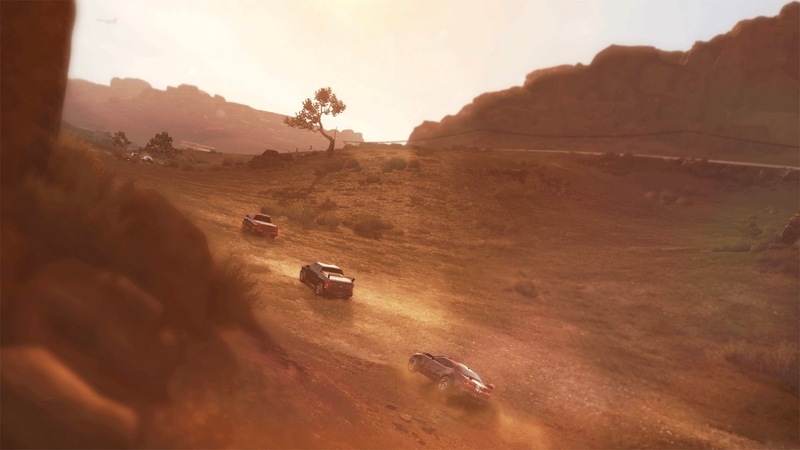 The way The Crew is approaching the actual traversing cross country and the mix between Arcade style racing and simulation is something that fascinates me and I would love a chance to play. If I owned either one of the next gen systems, I would probably get The Crew. But unfortunately I won't be taking a huge risk of buying a new system to play a game that is several comfort zones from what I normally enjoy. Hopefully in the future I will get to play this game. Or Ubisoft can stop playing favorites and release a Wii U version. Here is a game, from Turtle Rock Studios, that is injecting some bold and fresh ideas into how we play multiplayer shooters. Take a group of four players; each with different classes and roles, and put them up against one badass monster controlled by another player. Sounds awesome! Obviously this was revealed way before E3, but it's been on my radar since it's reveal because I totally would only play as a giant monster taking on four other players. How many times have I been playing, say Halo, 4v4 deathmatch and my three "teammates" quit, leaving me to lone wolf it. And how many times did I put up the good fight, scoring double sometimes triple kills but being only one Spartan against four, time was against me. But if I was a huge monster that only got stronger throughout the match, than I would never lose those 4 vs 1 encounters. Part two: E3 2015 games! From E3 2014 looks like I will be getting four "definite must" and four "hopefully someday" purchases. Not bad, really. I want to say I wish there was more to get excited about for 2014, but really what more do I need? There is still a bunch of games from last year I haven't played yet. And heck let's be honest between Smash Bros. for the Wii U and Pokemon Alpha Sapphire I will have hours of fun from those games to last me well in 2015. There are a lot of other games to get excited about, but they don't come out until 2015 so I'm saving that for my part two list. Thanks for reading and please share what games from E3 that you will be getting in 2014! Yesterday I was editing my blog, and decided I was going to use some fancy font types like Sue Ellen Fransico and Open Sans. I liked how visually appealing these fonts were and they made my blog look really pretty. Yet when I started loading up my blog in separate windows, on my iPhone, and at home, the fonts would stutter and skip when they loaded. It was driving me crazy because it would cycle through different fonts before it got to my newly chosen ones. Though the end result was a nice looking blog, the refreshing of the fonts and weird glitchy stuttering made my site look broken and unpolished. I wasn't the only one having this problem, as several users on the Blogger message boards had similar frustrations with their font loading weirdly. Turns out it's kind of normal when you are using special fonts: the site needs to load them and depending on how much other stuff you have on your page it might take a bit to load. A decision needed to be made: do I keep the fancy fonts and deal with the glitchy intro to my site, or keep it simple with standard fonts that don't skip and make my site look like a buggy mess, albeit for a few seconds? I've been playing with my Wii U a lot ever since I purchased it on May 29th, and this past weekend I started up The Legend of Zelda: Wind Waker HD I purchased during the E3 sale. I originally bought this game when it first came out on the Gamecube. I even pre-ordered it through Gamestop so I could get the Ocarina of Time Master Quest. Sadly, none of those games are a part of my collection today. 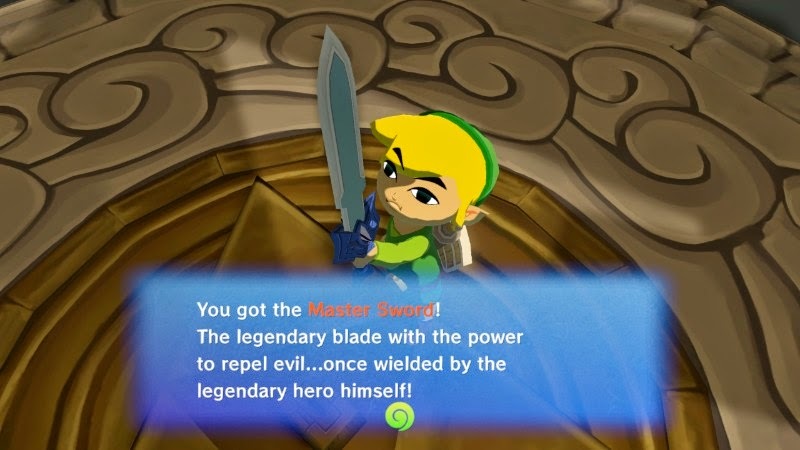 Even more depressing is after getting the game, I only played it until I got the Master Sword, and never finished it. Wind Waker is one of the games I've regretted not finishing for a long, long time. I don't know why I never finished the game. I probably got distracted with other games or hanging out with friends or trying to get laid. I don't remember, it was high school and I didn't always make wise decisions. But I'm trying to fix my past gaming mistakes, and playing Wind Waker to the end is a big one for me. We all remember the big controversy about the cartoon art style when the game came out, but honestly that never bothered me. I enjoyed it then and even more so now. If anything the HD remake really makes the visuals reach it's full potential, and the game is breathtaking to behold, so much that I can't stop taking pictures of every little moment of the game and posting it on Miiverse. Nintendo has a great developer direct with Eiji Aonuma about Wind Waker, where he talks about all the changes and improvements from the original to the HD version. He talks about how, due to the technical limitations of the Gamecube, they needed to keep the speed of the ship slow because it couldn't go faster then it took the game to load the islands. If it went too fast, you could sail pass islands before they had a chance to load. They had to make a design decision: if they made the ship go faster than it did the game would be a choppy nightmare, and people wouldn't have responded so well if it was a glitchy mess. Yeah you took a lot longer to get from island to island in the original Gamecube version, but once you got to where you were going you didn't mind cause the game was so fun and rewarding. 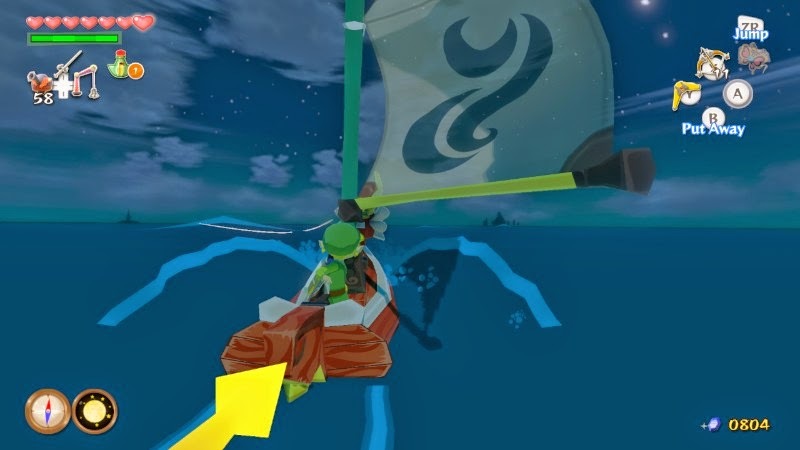 Playing Wind Waker, like most other well designed Nintendo games, is a master class in simplicity. Sometime the best choice is the most simple one. When it comes to me designing my blog, is it really that important what font the blog title is in? Or is it more important to focus on the content? Are people going to keep coming back to my blog because it's pretty, or do they come back because I write interesting articles? 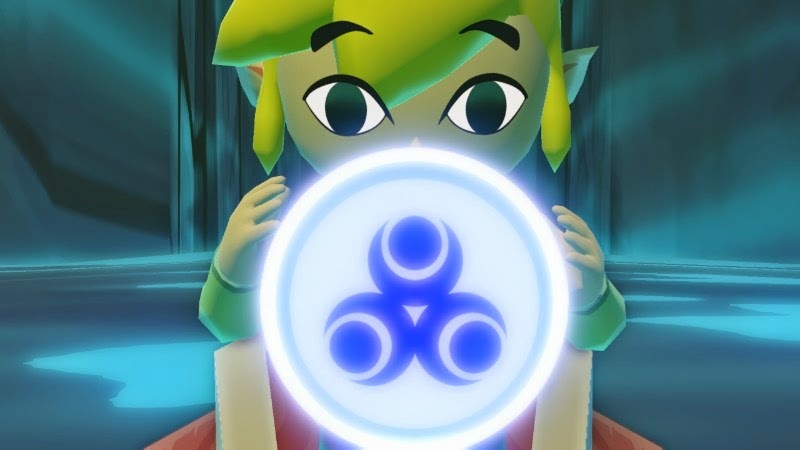 It helps to play a game like Wind Waker, because it reinforces the idea of simplicity and to focus on what you want to connect with the audience the most on. With Wind Waker (and most Nintendo games) it's always about what is going to be the most fun for the player, as opposed to what its the prettiest. I know that's a sentiment that's constantly repeated: Nintendo chooses fun and great game design over pretty graphics and what's "cool". Yet it's something that, as I begin to dive deep into creating this blog, becomes a very poignant idea. "Keep it simple". That's going to be something I need to keep telling myself over and over again as I create this blog. No need to try and wow everyone with my web design skills or fancy fonts, that's not what this blog is about. It's about me learning from video games and sharing my experience with others, and to have some fun while I'm at it. So that's what I'm beginning to discover as I play a game like Wind Waker. A game that encourages you to embark on the open sea at your own pace, and to embrace your personal sense of adventure. I don't feel like I need to conform to a certain style of play in Wind Waker, and I still have a lot of fun. Therefore I shouldn't feel like I need to conform to a certain style for my blog. I should let my content define my style and hopefully that translate to enjoyment for my audience. Please mind the mess. This Summer I really want to make an effort with this blog. I know, I've been saying that for years. BUT this year WILL BE DIFFERENT. Only because I stated it in caps. So I'm going to be tinkering a lot with the design and code of the blog. Things are going to get real messy because, well, I don't know HTML from CSS and what not. It's going to be a lot of Google searching and copy & pasting from me, hopefully I'll retain some new information I learn in the process. Anyway insert under construction banner here. Any tips or comments would gladly be appreciated! One of the main reasons I started this blog was to help vocalize my out of control spending habits with video games; and hopefully through the power of blogging I would start completing my backlog and reduce my spending. I've been pretty good this year in not spending too much money on games, that is, until Mario Kart's Wii U bundle was announced. Previously I had made a promise I wouldn't make the jump on the Wii U until Smash Bros. came out and I had reduce the size of my backlog significantly. But like Baby Mario, I just wanted to have fun, spread my wings and fly. I love Mario Kart 8. It's only been a week, but I love it. Disclaimer: I've owned every Mario Kart since the SNES (except Mario Kart 7) and loved each one of them, so my passion for 8 shouldn't be a surprise. Mario Kart games are fun, plain and simple. For me to get as excited as I did when the Mario Kart 8 bundle was announced is huge indication that this game was what I needed in my life right now. When I started on this blog I made a declaration that I would start playing my games and completing all of them, but actually trying to achieve that was difficult, and not for the reasons I thought it would be. I felt burdened by the weight of my backlog, and trying to get through it felt like a chore, not fun. I always talk about how I don't have time to play the games like I did pre-fatherhood. But really the main reason why I can't play games like in the old days is because I don't have access to my gaming like I once had. When you don't have to share a TV with your wife or kids, there is nothing preventing you from gaming. But if my daughters want to watch Frozen for the 20th time or my wife wants to watch the newest episode of Community with me, I can't get that GTA V gaming going. I wouldn't play GTA V anyway when the kids are around, so the type of games I can play when my girls are awake limits me more. Even then, when I start loading up those family friendly games I own, like LEGO Batman 2, am I really going to deny my daughter the chance to play some games with her Dad so he can go achievo hunting? The problem, I've come to realize, is I am not playing the right games that fit my current lifestyle. This year, I can count on one hand the games I've played a lot of: Toy Soldiers, LEGO Batman 2, Pokemon X, and Mario Kart 8. I was able to play Toy Soldiers to completion because it was a game I was able to have on with the girls around, and it only took me a little over a week to get all the achievements. Most of my gaming early this year was dominated by LEGO Batman 2, because like I said before I wasn't going to sit and play games by myself when my daughter wants to play something with me. That's at least a huge upside of having kid friendly games is you get to bond with your kid. But Pokemon X, oh boy Pokemon X, I played a ton. Pokemon is one of my favorite franchises, and I've easily put 350+ hours into that game. And since last Friday, I've been playing a lot of Mario Kart 8, so much so that I already got the Gold Standard and Gold Wheels you see in the pic above from my Miiverse page. I haven't been completing my backlog the way I promised myself I would this year. I also didn't wait to buy the Wii U until the Fall, like I promised myself I would. But so far this year I have been able to game a lot the way I've wanted and have no regrets about it. I've been able to play a ton of Pokemon X because it's on my 3DS, so I can work my way up in the Battle Maison when my girls are watching Frozen or continue my breeding uninterrupted when my wife wants to watch Community. So I don't feel bad now that I haven't finished GTA V yet or Burial At Sea Episode 2, because I can't play those games when I want. There's nothing holding me back from playing Pokemon and I've made a lot of progress in that game I'm proud of. The first weekend I spent with the Wii U, I already felt like it paid for itself with the amount of time I was able to get in playing with it. The game pad is literally a life changer. Just like how I can flip open my 3DS and start gaming when my TV is being used by my family, I can also do that with the gamepad. There is something so satisfying knowing that I can continue working on getting Gold Stars uninterrupted, and it feels very profound to have Let It Go blaring in the background when I do. It may only be a week, but I have no regrets that I dropped $350 last Friday because my gaming lifestyle has benefited greatly immediately. When I was getting all the achievements in Toy Soldiers early in the year, the reward of unlocking it felt empty. I knew I was making ripples in my backlog, but I was afraid I would never be able to make waves. In Pokemon I've made huge waves, and already in a week I've made a splash with Mario Kart 8. When I got this screen last night, I knew it's because I've been able to play a lot of Mario Kart this week. And that felt good. Yeah I spent $350. And I know this has opened a gateway to other new games to add to my backlog. But honestly, I feel I won't have much of a backlog issue with the Wii U. As long as I can curb my spending habits, I will be fine. So yeah, I broke some of my promises I made, but now I can readjust. The Wii U is a game changer for how I am going to be able to play video games. Not only am I going to have more time, but that flexibility means I can focus on the main reason as to why I play games: to have fun. I've been having a blast with Mario Kart 8, and I've got Pikmin 3 waiting in the wings with my Club Nintendo free offer. It may have been a big financial leap earlier than I wanted it to be, but at least I got a real good deal. Going forward I'll reevaluate how I play games, and how maximizing my gaming time in those ways can make me a better gamer.